In September 2009 my wife and I joined the Norfolk Wherry Trust, a group of people dedicated to the preservation of the 'Albion' which is one of the oldest Wherries in Norfolk. Follow the link to www.wherryalbion.com to find out more, and see for yourself what is being done. 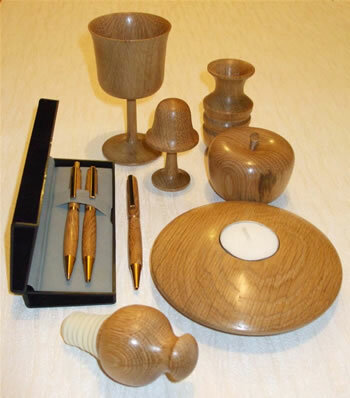 In an effort to help the trust, I have volunteered to make souvenirs using genuine Norfolk Wherry Oak. In the winter of 2009/2010 the trust undertook a major restoration and refit on the boat including the complete replacement of the tabernacle (the part which holds the mast up). 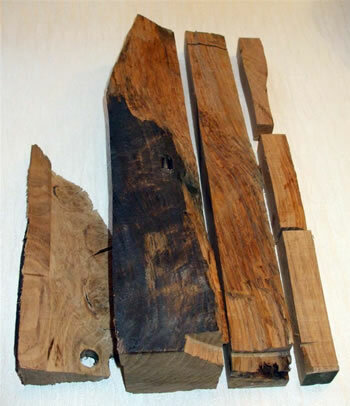 As a result, I have a significant selection of very old Oak beams with which to make a selection of souvenirs for the trust to sell. A selection of items has been turned from English Oak to show the trust what can be made, and it will be a privilege to get my hands on some of the genuine timber to work with. The volunteer group meets at the base every Thursday morning (and Saturdays through the winter) to do whatever is necessary on Albion. In general, this includes painting, cleaning, repairing and re-furbishing whatever is needed to keep the boat in the best possible condition. 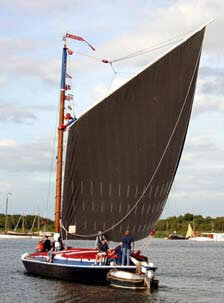 In November 2009 we went to "The Laying Up" supper, an annual event held at the end of the sailing season. We showed the trust members a selection of Oak pieces that could be made, and at the same time, raised some valuable funds for the trust. Mindful of the fact that I needed genuine timber to work with, one of the members said that there was some old timber lying around at the yard which I could take away if I wanted. The next morning, we went to the boat yard to see what could be found. Pictured here is an old "Knee", taken out of the boat some years ago, and since then, has simply been left to rot in the grass. I was not overly hopeful that this would yield much. But, after the surface moisture had dried off, I applied my chain saw to the top section, to reveal some wonderful medullary rays in the timber just a few millimetres below the surface in good strong timber. 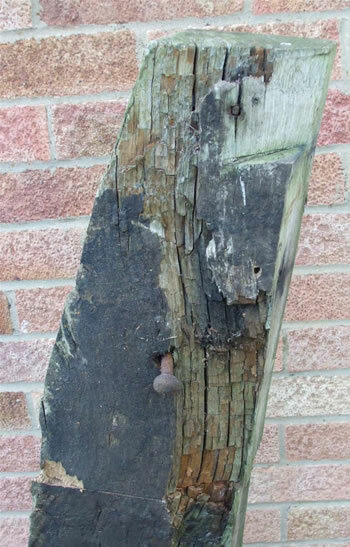 With wood of this quality in a rotten piece which has been ignored for the last 'n' months, I can do no more than guess what good clean timber will be like when it is taken out of the boat in the next few weeks. Now that the top section has been cleaned up and the rotten areas have been trimmed back, I can start to plan out how I am going to cut the piece up. 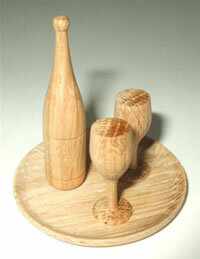 I hope to be making some click pencils and twist top and roller ball pens, plus some apples and bottle stoppers. 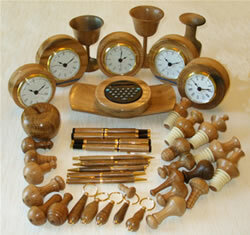 In time, I would hope to be able to offer ANY of my designs, all made from genuine "Albion Wherry Oak". I will need to take some expenses out of anything I sell, but all remaining monies will go to the "Norfolk Wherry Trust". This is a worthy cause, so please, help me support a really good project, preserving our heritage. The top section has now been cut into usable shapes. Several pieces have been salvaged for making pens, a section in the middle looks good for bottle stoppers, and I hope to get pieces out of the large section to make some fruit. This is the first set of pen blanks. 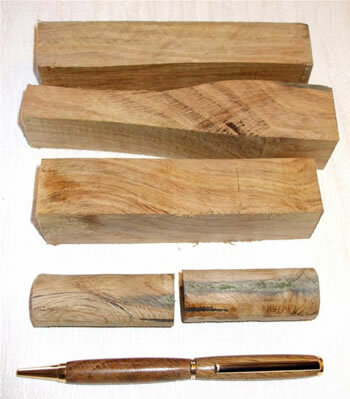 One piece has been cut ready to make a pen, and at the bottom we see the very first pen made from "Genuine Albion Oak". The pen didn't polish as well as I would have liked which may be due to some sort of contamination in the wood. Even so, it is still special, and could be a valued Christmas present to anybody that wants it. This pen and several others to follow are available direct from me for £10 each, and for every one I sell, I will give £6.50 to the Norfolk Wherry Trust. At the same time as getting the old knee section, I also picked up 3 odd lengths of rubbing strake. These also had been discarded, and subsequently left to the ravages of nature, for how long I cannot say. Most people would see this as fire wood, whereas I knew that great surprises may well lie within. All the old bits of metal were removed from the first of the three pieces, which was then cut into approximately 6" lengths. As with the knee section, the timber within was almost perfect, a true testament to the historical build quality of 'Albion'. I turned one of the sections into a rectangular candle, and immediately saw the beauty of the grain and the staining which is a common feature where iron and Oak are interacting with each other. Two more sections were prepared and glued together to form a larger section from which I turned a round candle, Again, beautiful grain and staining. These tee-light candles, along with whatever else I can make from the strakes and the knee will be passed over to the trust to be sold as souvenirs, hopefully, generating useful funds to continue the good work. 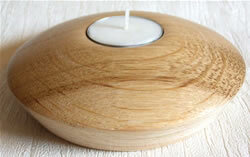 From the first knee section I managed to make some pens and 14 tea light candles. They were all delivered to the trust on February 20th 2010. It was really good to see people look upon a collection of wood turnings with such appreciation. After all, the pieces I left with them on that day should sell for about £100, and that is a really good contribution, all made from scrap, and going directly back to the trust. During this winter the trust has undertaken a major restoration and refit on the boat including the complete replacement of the tabernacle (that's the part which holds the mast up). As a result, I now have a new pile of old timber which needs to be converted into turning stock and subsequently, made into anything which will sell. Clearly, the next few months were going to be quite busy. I still have some large sections of old timber which, as yet, are too damp to use. This will probably get worked on in the next few months. After closer examination I found the wood pile actually contained quite a large proportion of scrap timber. 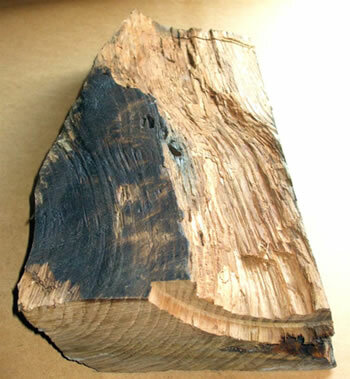 I suspect this was due to the external paint layer which had in effect, trapped a large quantity of moisture in the timber for a long time. Some sections however yielded a selection of very nice timber, allowing me to make an extensive selection of smaller pieces (44 in all). They are being delivered to the trust in June 2010. In total, over £800 was raised for the trust in 2010, all from turned souvenirs. By far, the most popular items turned out to be small clocks, closely followed by various types of pen (roller balls and twist top biro's). 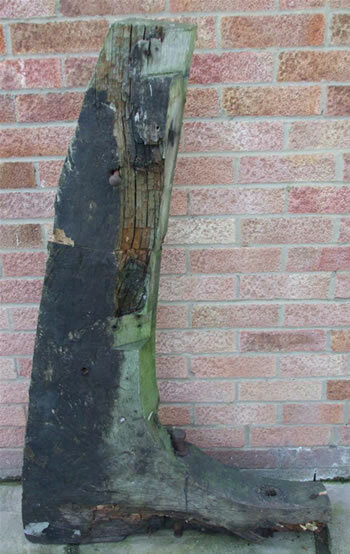 The work of the trust continues well, and in 2011 we saw more significant pieces of timber liberated from the boat. Much of it, as in 2010, was converted into cash. This was a significant contribution to the trust. 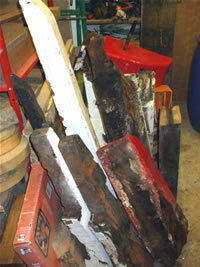 Wood taken out of 'Albion' during planned maintenance was passed to me to convert into souvenirs. As such, when these souvenirs were bought, you were able to say that you had purchased a genuine piece of history. The process of selling these souvenirs has in the past generated a substantial income for the trust, helping to let the preservation of 'Albion' to continue. Although I no longer make these souvenirs for the trust to "keep in stock", many of them may well be available to order. If you are interested in purchasing any, please feel free to get in touch and I will do all that I can to help. The following items have been are available in the past, and dependant upon stock and parts availability, could be made to order. Postage and packing would be added as necessary. The most popular items by far have been pens and biros in the form of a Fountail Pen (£18), a Roller Ball (£14) and a Twist Top Biro (£10). These are 24 carat gold plated, and use standard refills. A novelty item, loosely known as a 'BGT' is this bottle, glass and tray. The tray diameter is 50mm, and the set costs £8. 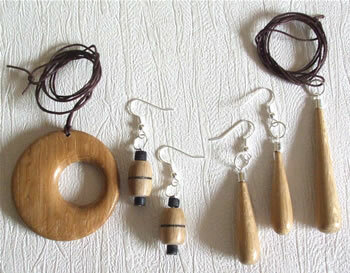 Jewellery comes in the form of either Drop or Offset Pendants (£3) and Earrings (£5). Earrings are also available as a 'Bottle and Glass' pair at the same price. 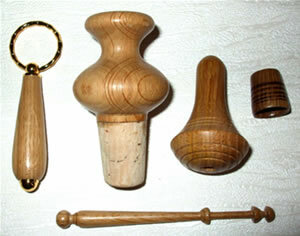 Key Rings (£3.50), Bottle Stoppers (£3) and Light Pulls (£2.50). Thimbles and Lace Bobbins are both £2.50.